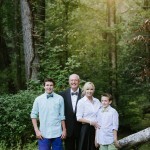 I look forward to capturing the Singletary family every year! Such a beautiful family! Bryce has to be one of the cutest little boys ever! Its always a pleasure and a blast to hang with them!